Taking a strong business solution or idea and making it accessible can be a challenge. This client had a brilliant business plan, but needed some marketing communication legs to find an audience. Her business idea involves doing an intake with a parent/college-bound student and assessing interests, assets and needs. Then, following initial interview and discovery, my client will do tailored research and produce a detailed report. 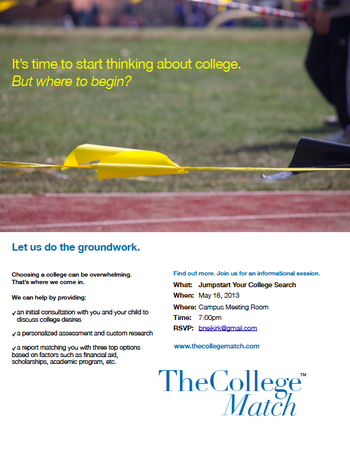 The family and student will receive a report listing the three top college choices yielded by the research and include pertinent information for taking the next steps of application and campus visits: key deadlines, scholarships, financial aid and extra-curricular specialties. The first thing my client needed was a name for her small business. 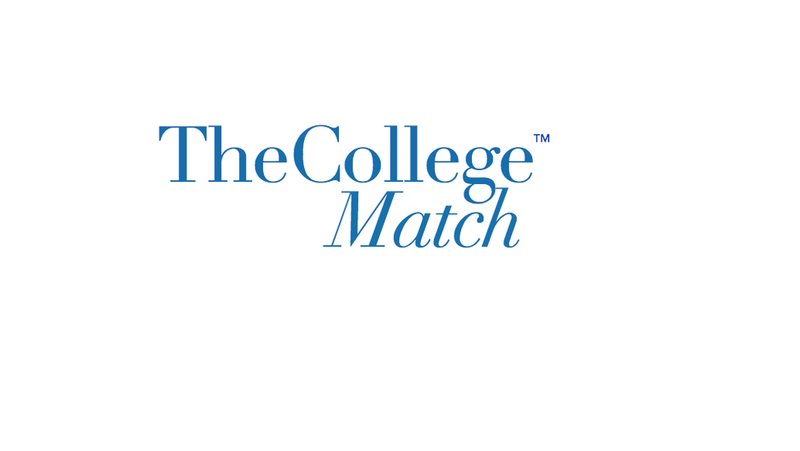 TheCollegeMatch™ was chosen as a good descriptor of the services being offered as well as good for SEO. While we work on building out the website and collateral, we are looking for ways to introduce the service to key audiences. 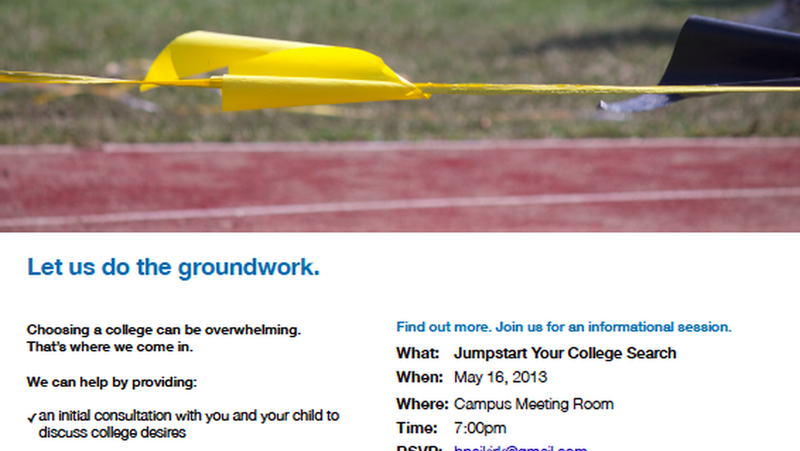 An information session, held for parents and students at local schools turns out to be a great idea for identifying new clients.